how do i play? 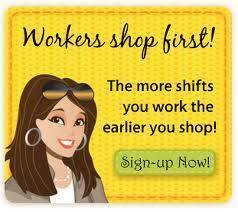 |consignor registration | becoming a worker | ready, set, tag! By participating with a minimum of Unlimited acceptable items you earn the privilege to shop before the public. The Consignors Private Sale will be held Tuesday, September 26th; No children under 10 are permitted after 5:00pm during the private sale. Be sure to pick-up your wristband at drop-off.